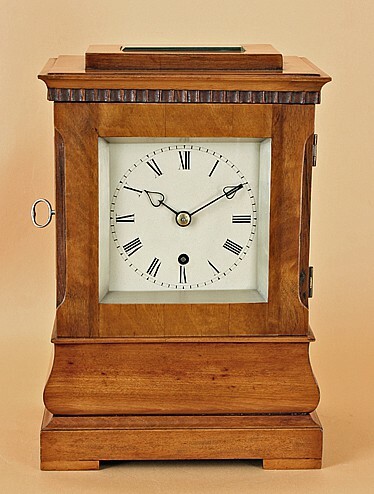 An English Fusse Skeleton Clock of good small size. The 8 day duration single fusee chain driven movement with passing strike to the single bell on the hour. The silvered brass skeletonised chapter ring with matching blued steel hands and standing on four substantial brass mounts. 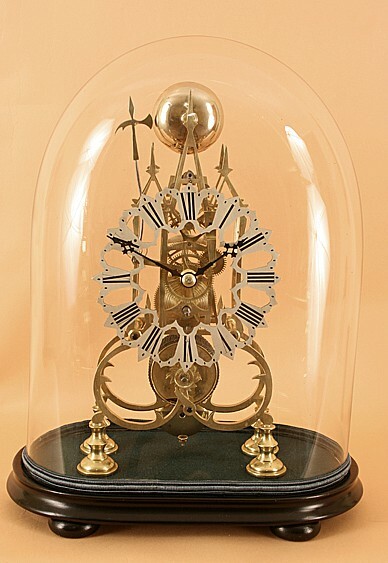 The original ebonised base with small bun feet and the entire clock enclosed within its original glass dome.